Today is the last day of the Drive-by Snapshots color week. 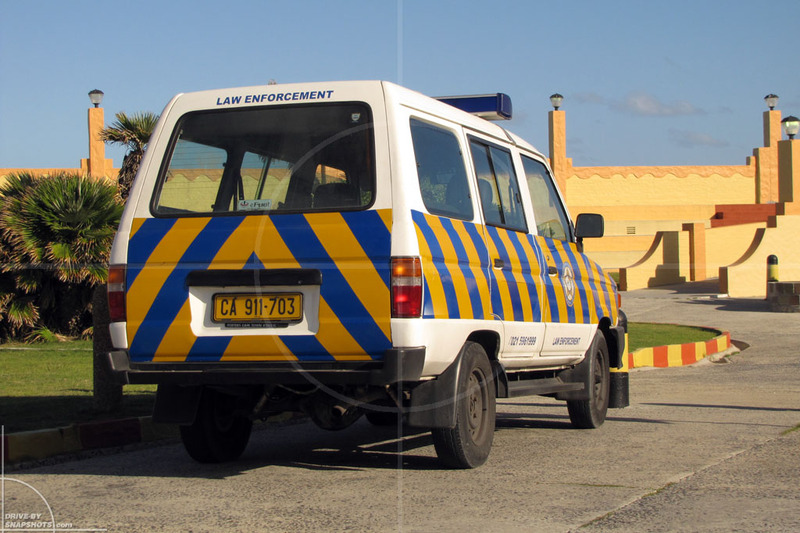 There are still more yellow and blue themed pictures in the archives, but one shouldn’t overcook it, right? OK then, here we go for the last time. 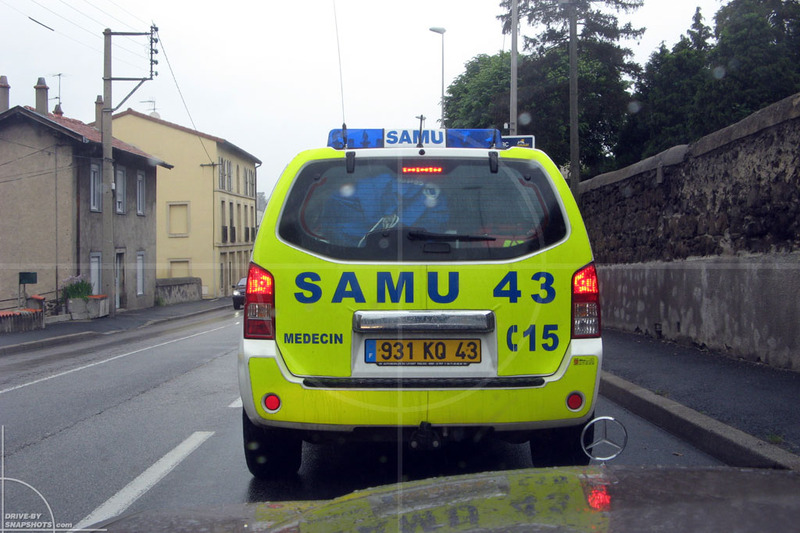 A couple of years ago, on our way to the French coast, we drove through Le Mans. 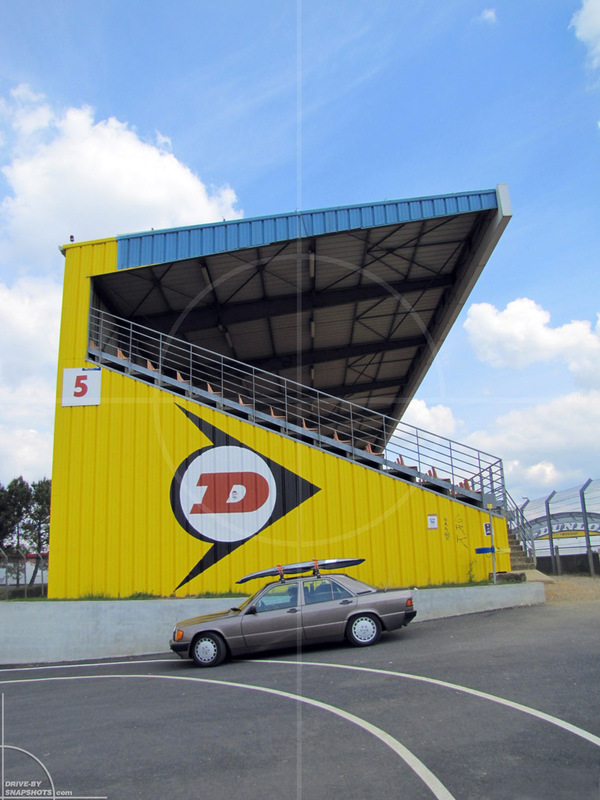 Naturally I had to stop and check out the world famous Circuit de la Sarthe. We had the chance to roam freely around the deserted course and I took the opportunity to snap a few pictures of my 190E 2.3 with interesting backgrounds. OK, I admit that 441 Impala brown metallic and yellow isn’t the best match. 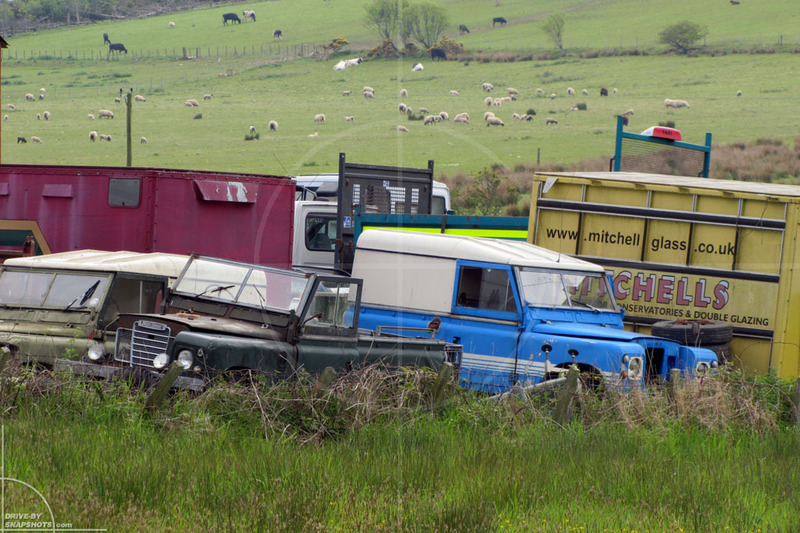 Somewhere in the beautiful countryside of eastern Scotland, I found a couple of retired Land Rovers in a yard. 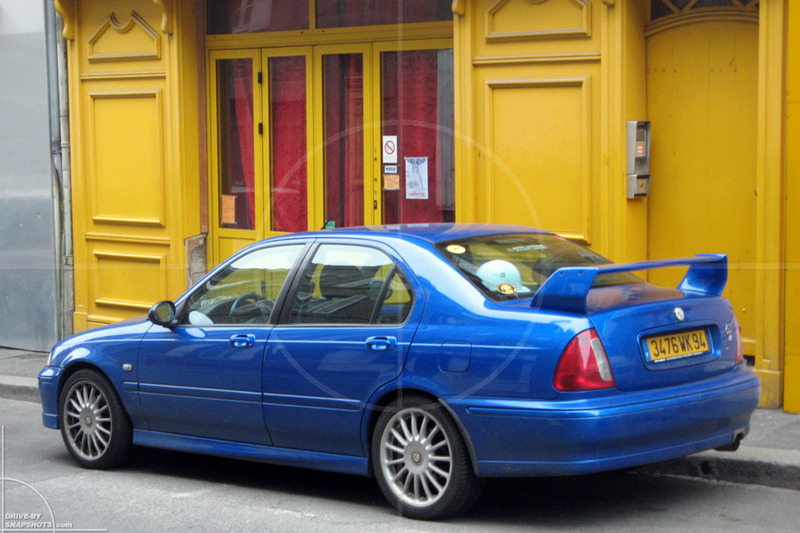 And now let me present you the picture that started the yellow and blue theme back in 2010: a blue Rover 75 / MG ZT in a nondescript street somewhere in the Bretagne / France. It wasn’t the car that triggered my interest in the first place, but rather the fact that it was the only brightly colored house in that street. The other houses are best described as being painted 50 shades of grey. 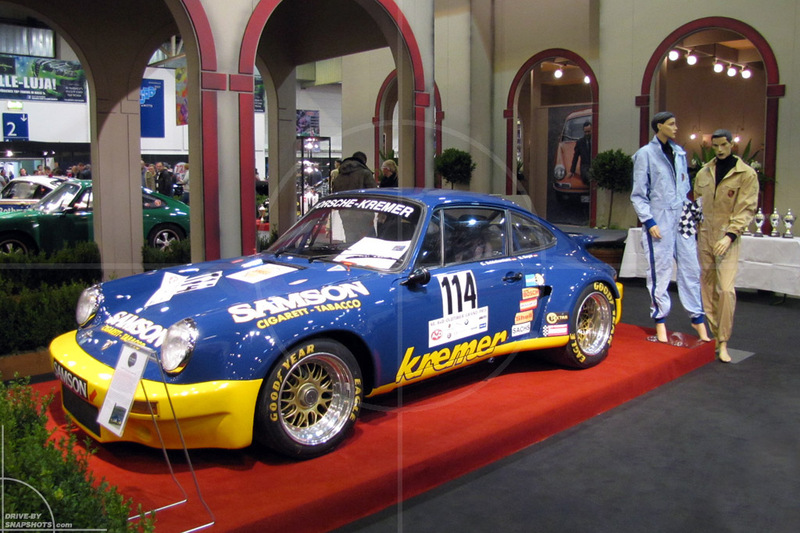 Essen Motor Show. A Porsche 911 RSR. No comment necessary. There are many race cars out there, but the support vehicles are often overlooked. 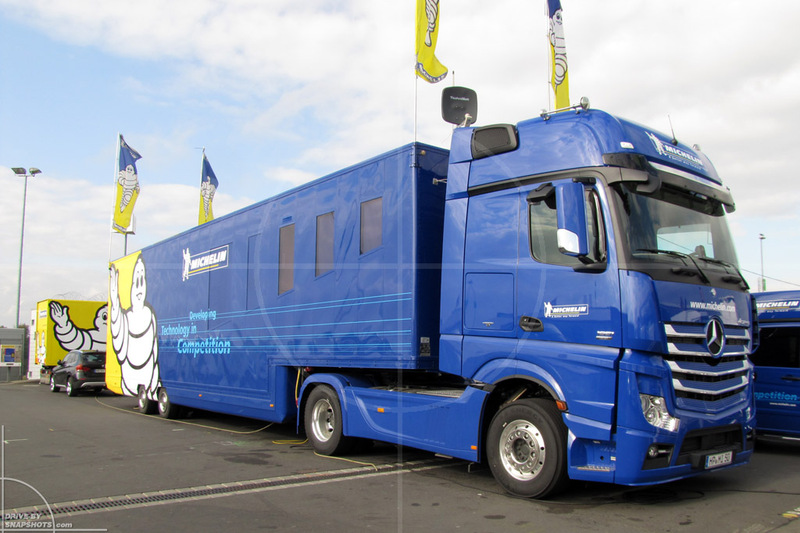 To make up for this and because it ties in with the theme so nicely, I wanted to add this Michelin support truck to the collection. Fancy being free and going surfing whenever you like on a budget? 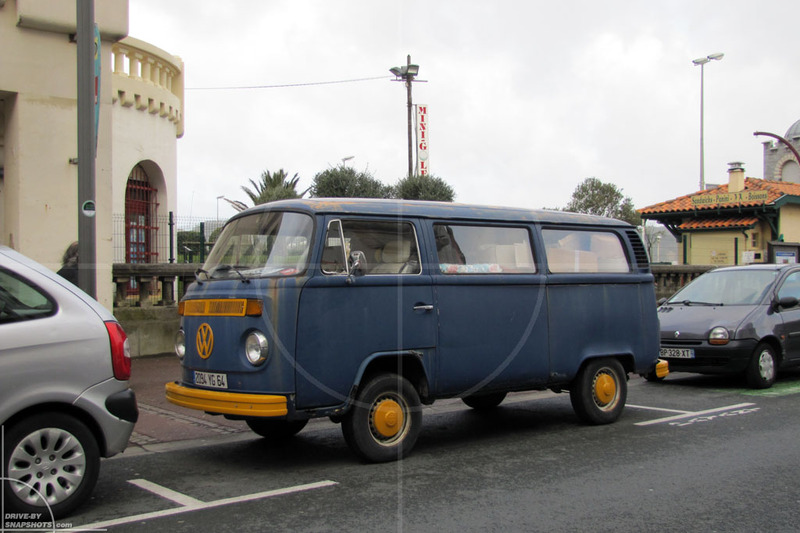 A well-used Volkswagen T2b might be the answer. I wonder why they bothered to paint the grill, bumpers and hubcaps, but left the body as is. The patina on the paint sure tells a story. 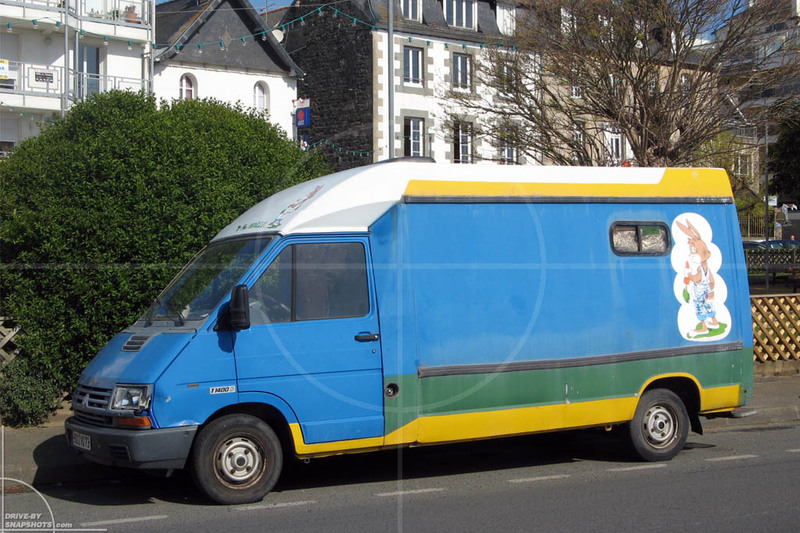 Given you have a little more money and are looking for something a little more comfortable than a T2, why not convert an ex-ambulance van into a makeshift motor home? I hope you liked the themed week here at Drive-by Snapshots. If you have any feedback, suggestions or comments, feel free to contact me. Thank you very much in advance.